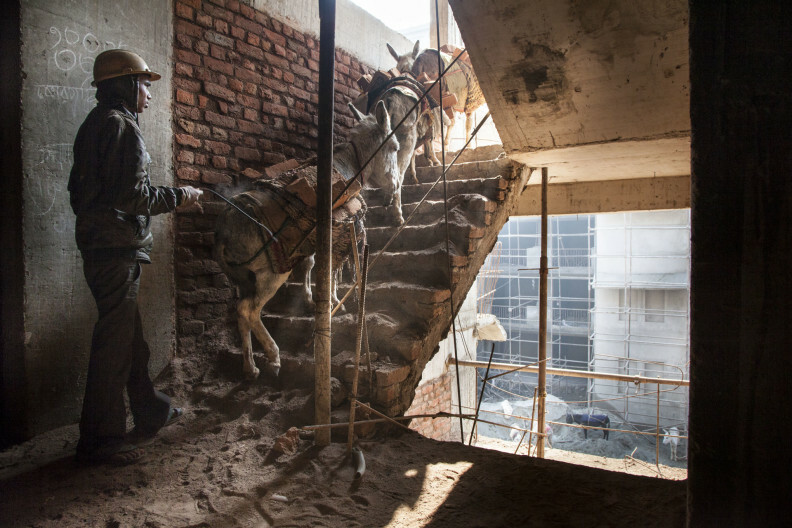 Displaces. 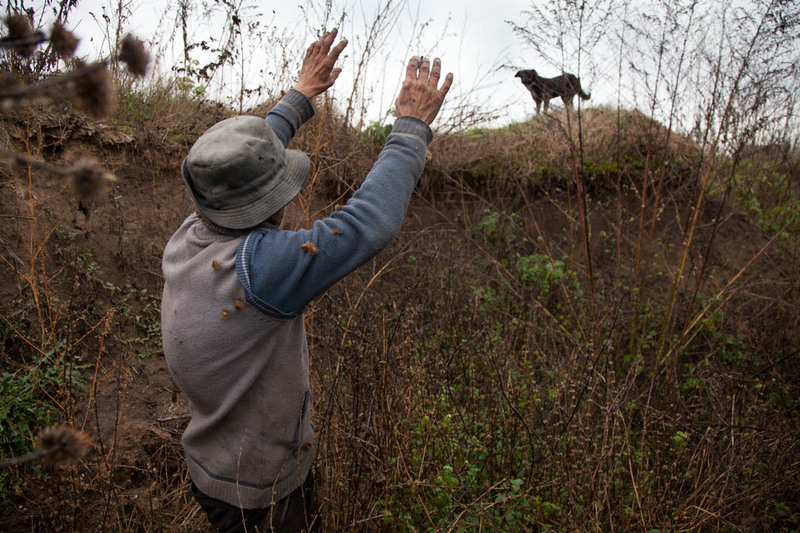 A photo-project in the Calais ‘Jungle’. 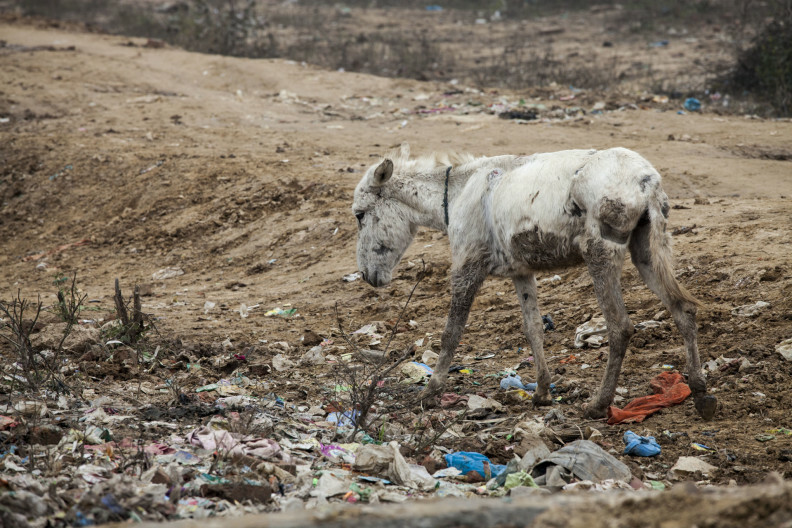 This mysterious photograph of the Calais ‘Jungle’ is the work of 18 year-old Esyas (his name has been changed), an artist from Eritrea. 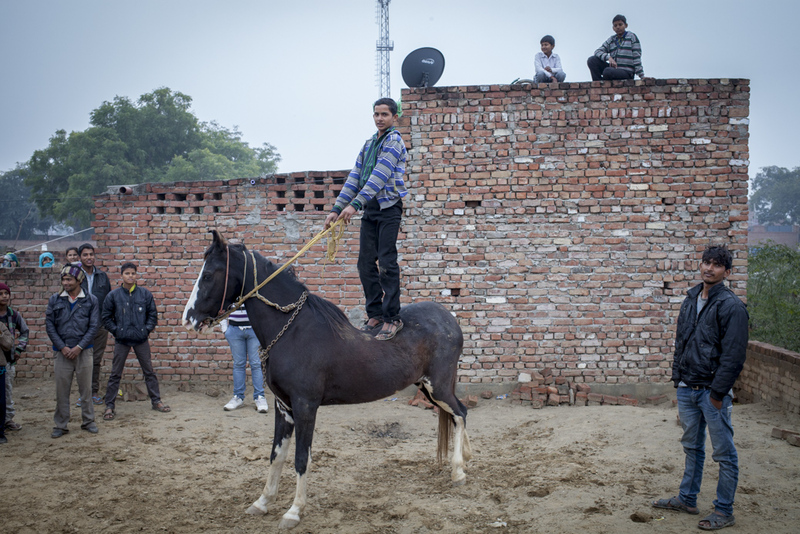 He is taking part in the Displaces photo project set up by Prof. Corinne Squire. 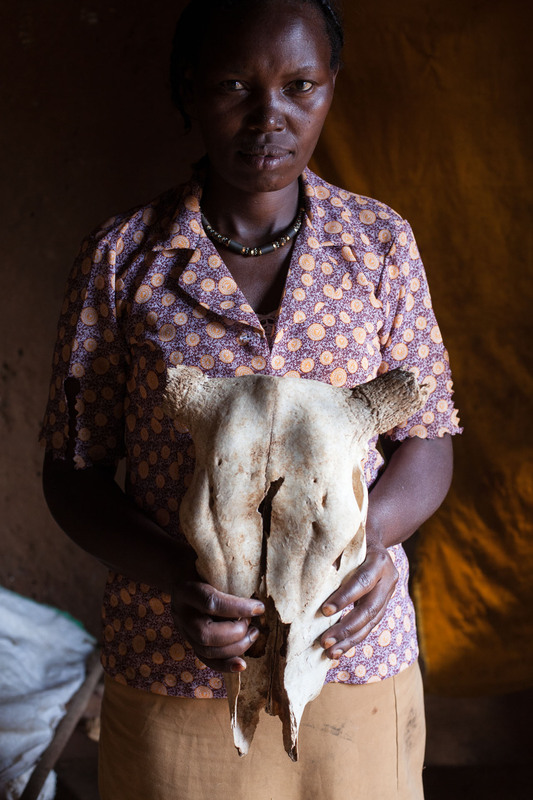 I’ve been working alongside Gideon Mendel, teaching photography and editing the results of a two day workshop. 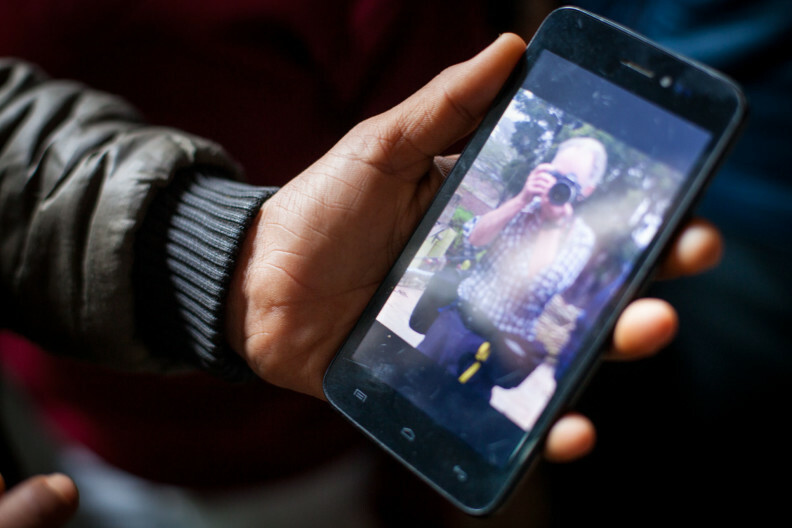 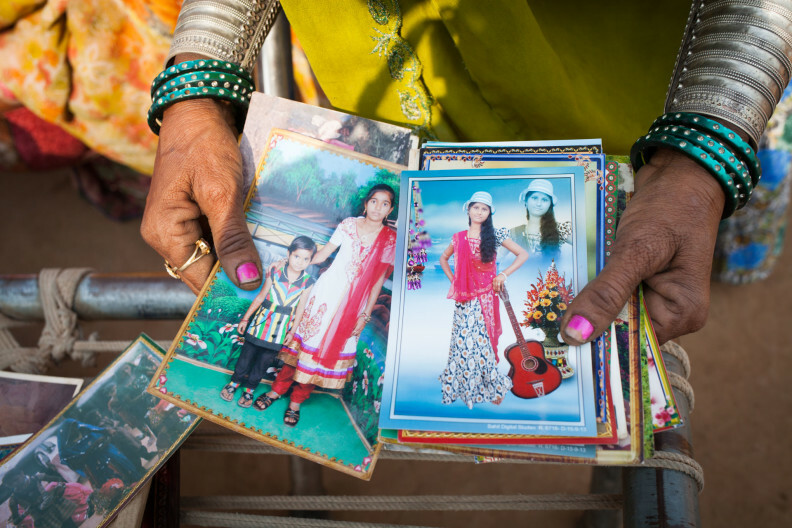 We’ve left cameras with refugees to document their lives in the camp. I’ll post more images as the project progresses. 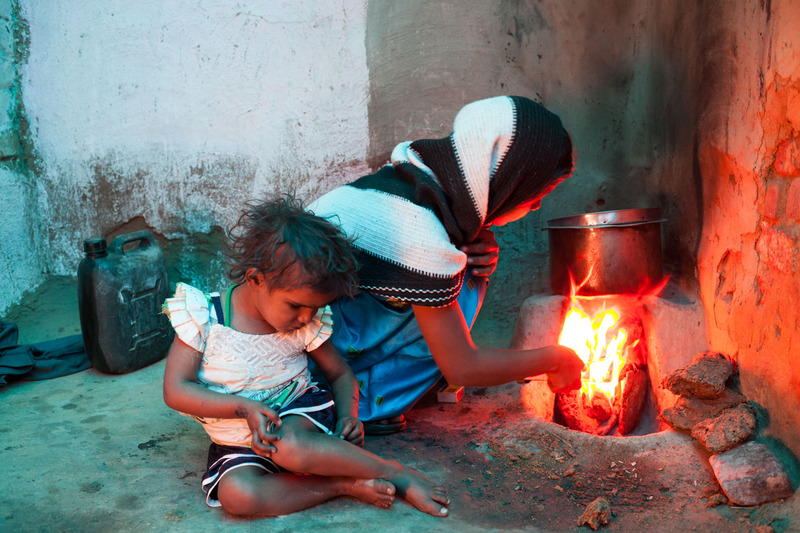 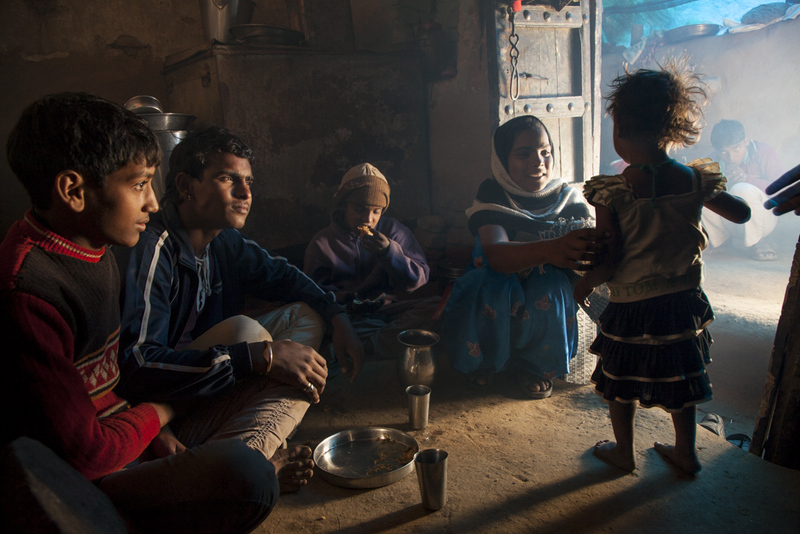 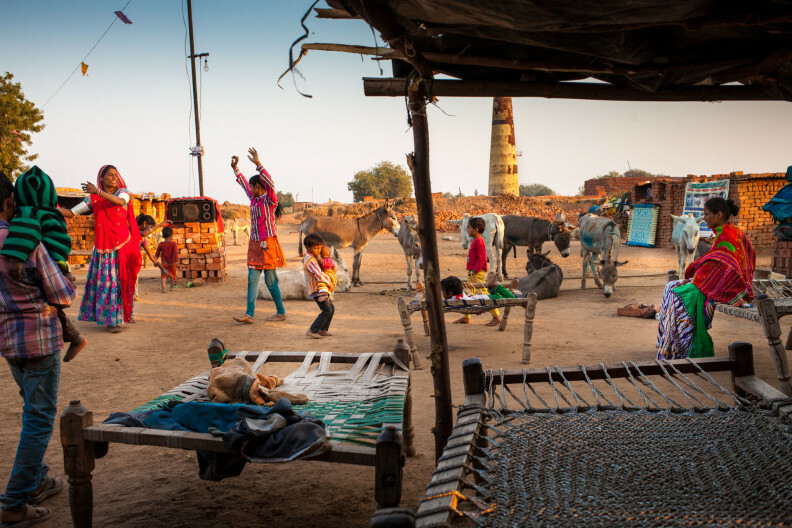 Esyas’ photograph conveys the atmosphere of this place which is not a place. 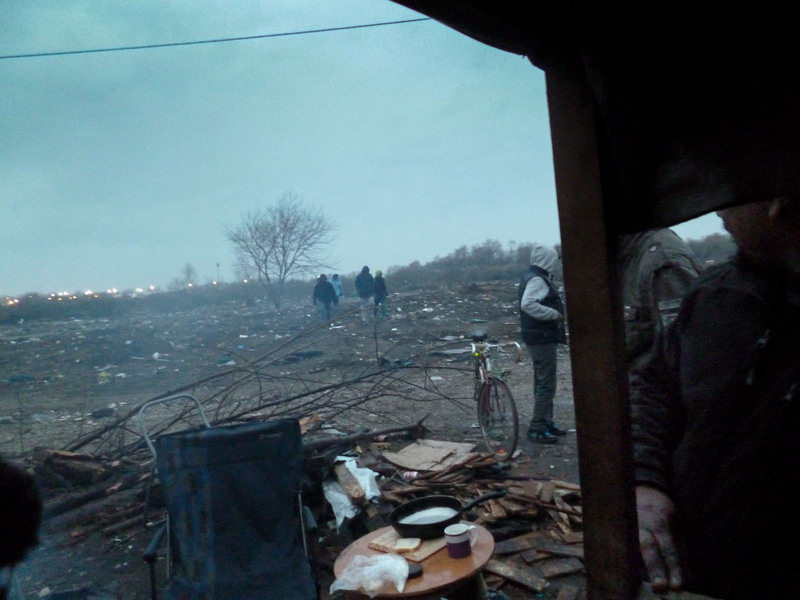 A landfill site full of people, now partially bulldozed back into the ground. 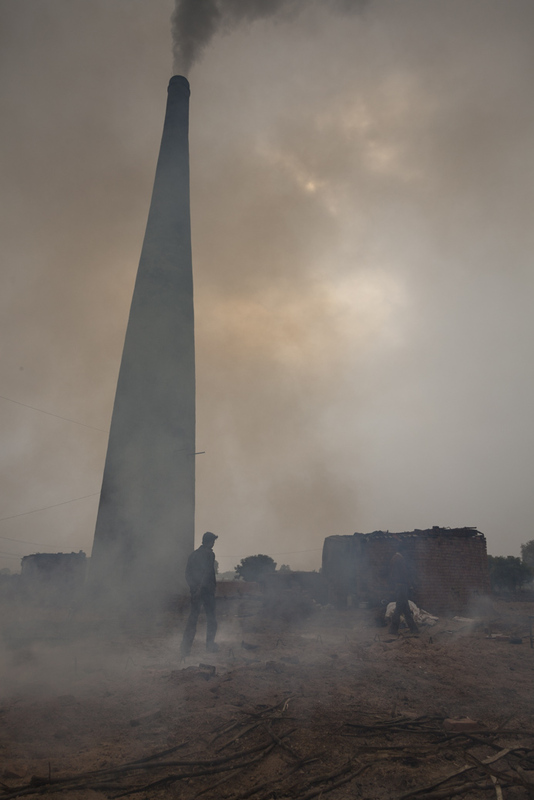 There is a stark simplicity to the landscape which makes it feel like an allegory: the camp, the fence, the road, the police, and the bulldozers. 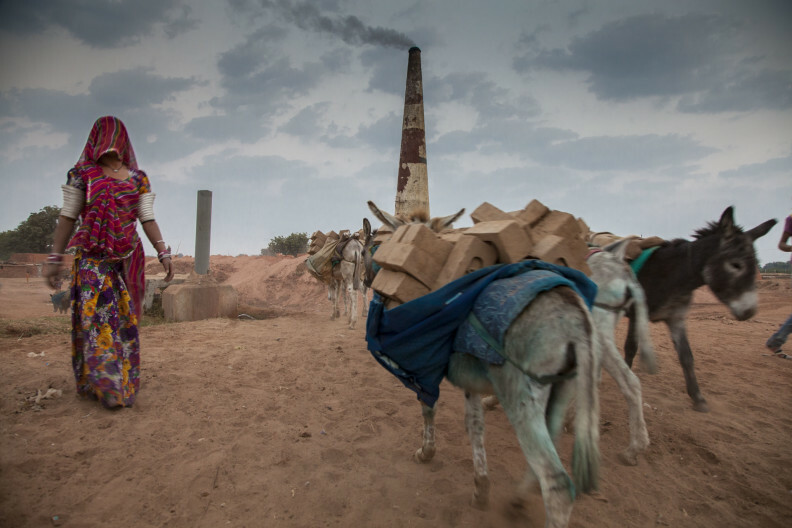 Yet everywhere there is a flickering of different lives and cultures: the scraps of possessions burnt or ploughed into the earth, the Eritrean church, the mosque, the library, the cafes and the figures playing football or just staring at the horizon. 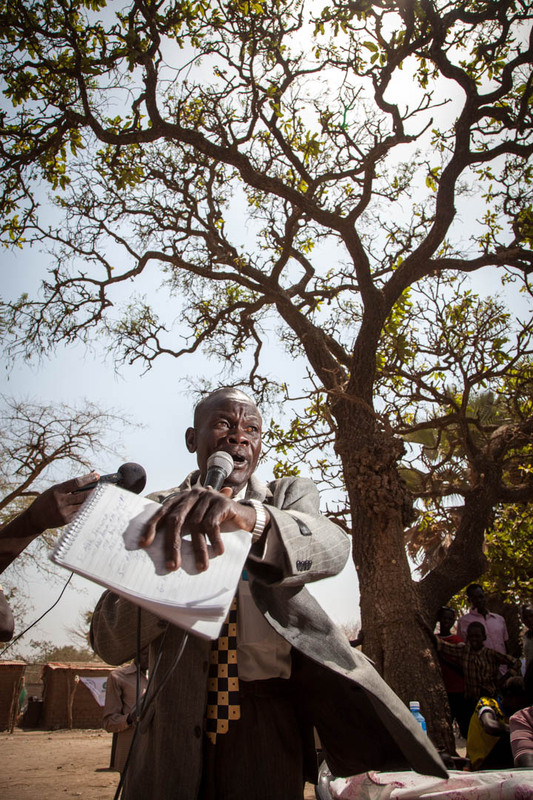 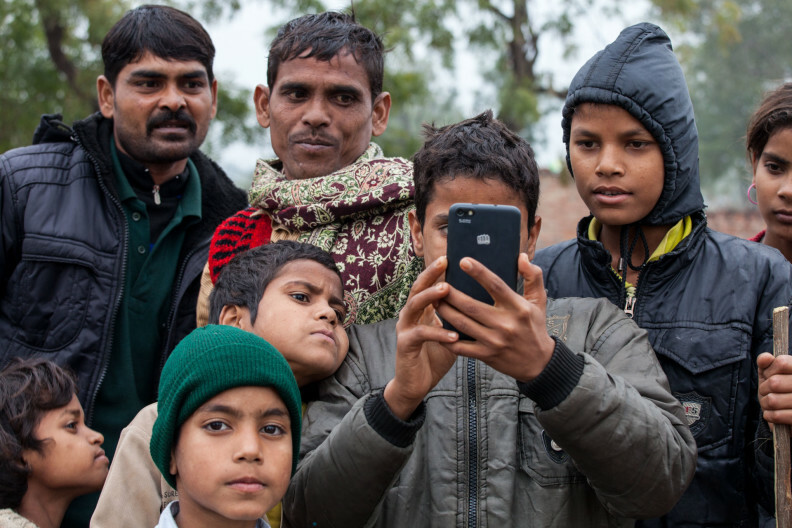 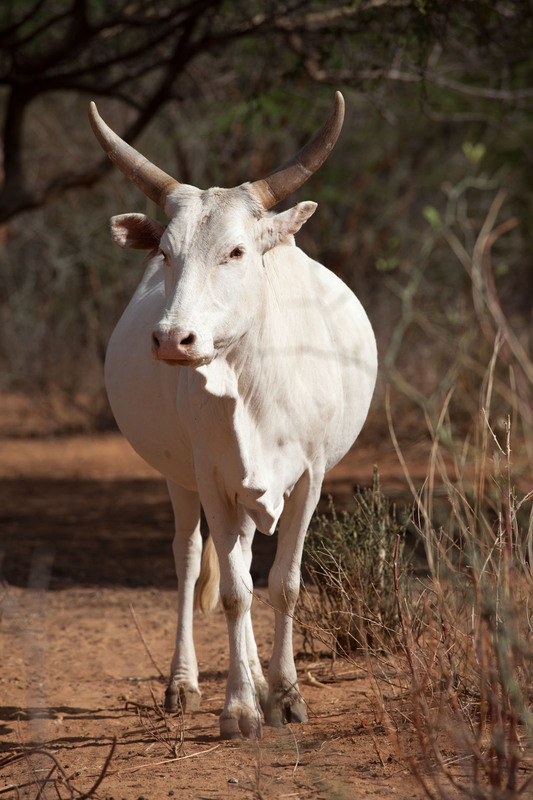 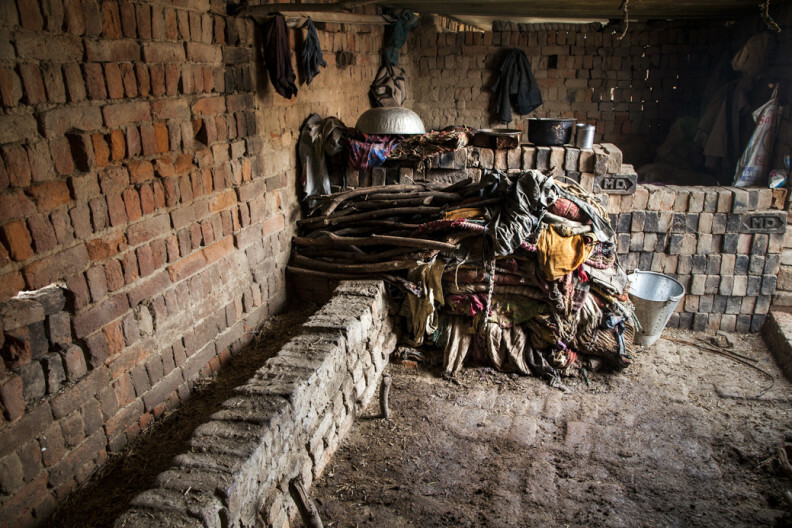 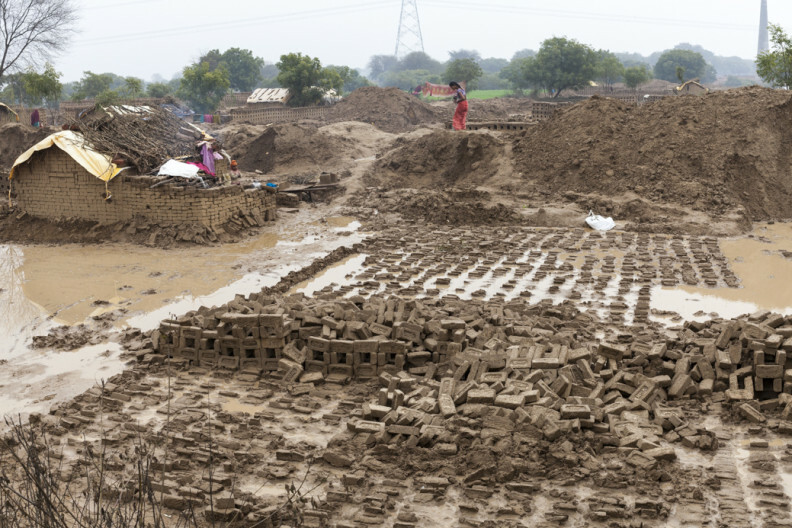 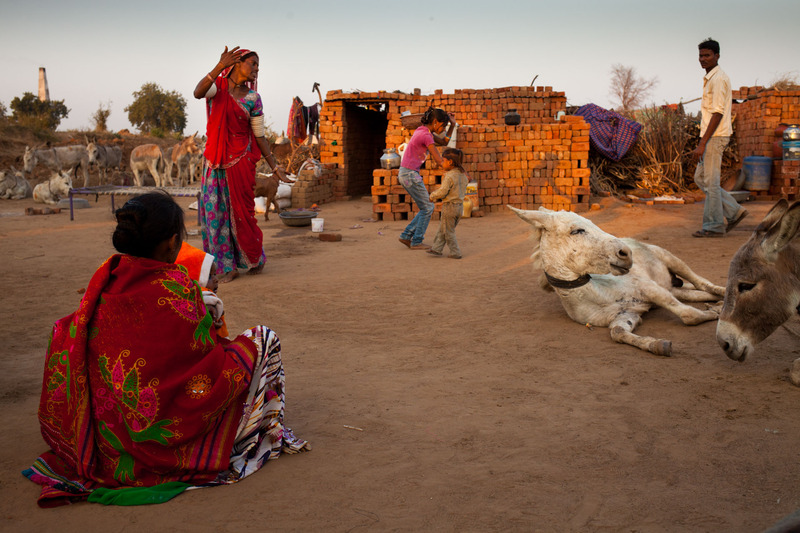 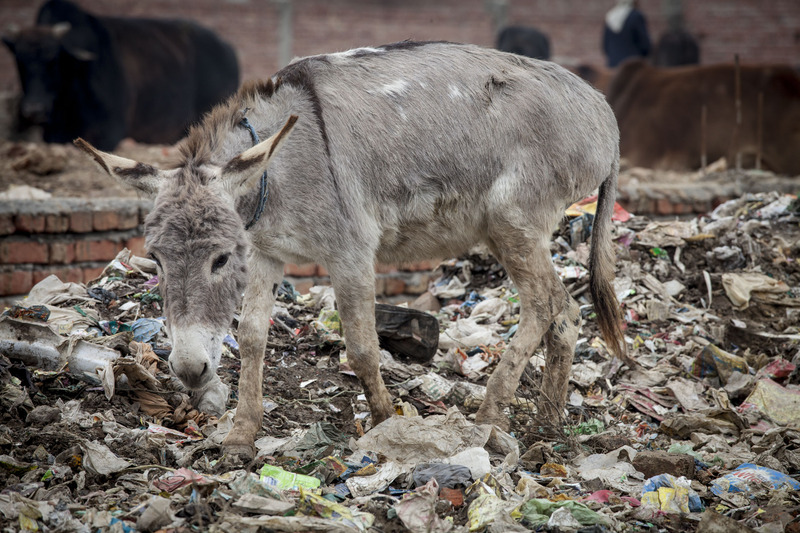 Many NGOs develop problematic ‘mission creep’ as they attempt to burrow down and address the causes – rather than just the symptoms – of the problems they were set up to tackle. 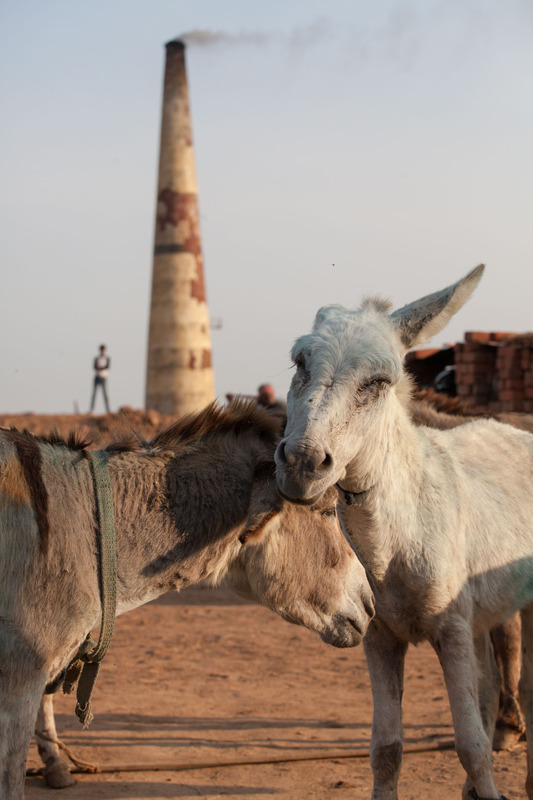 A case study from the work supported by the Donkey Sanctuary in Romania lays bare the dilemma; sticking to a clear mission can be equally troubling. 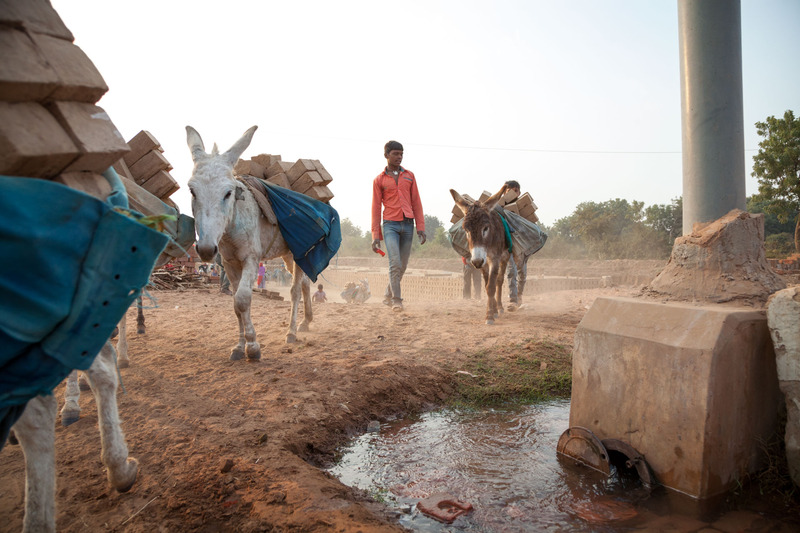 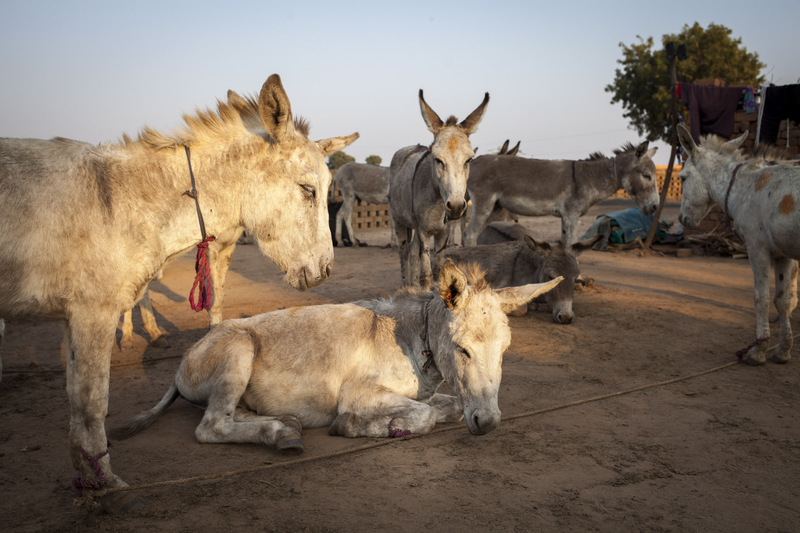 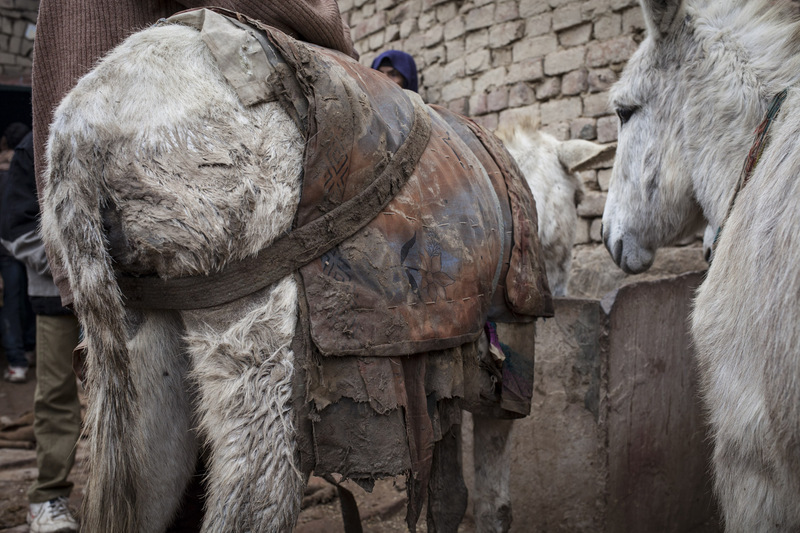 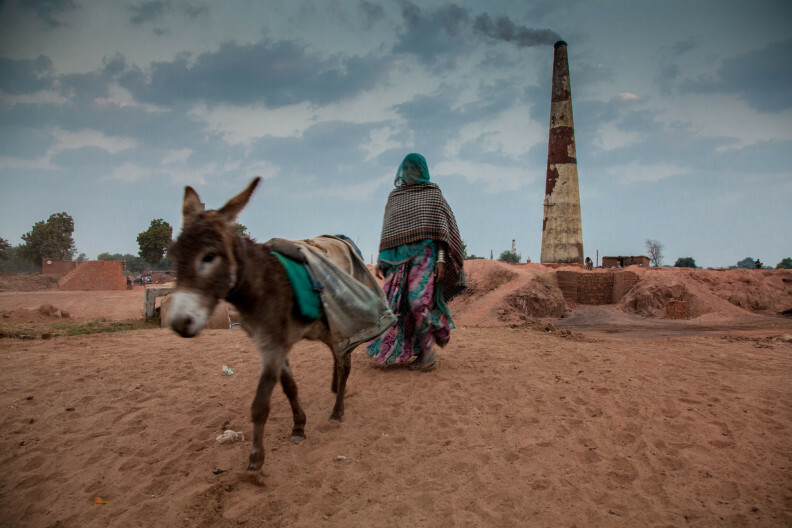 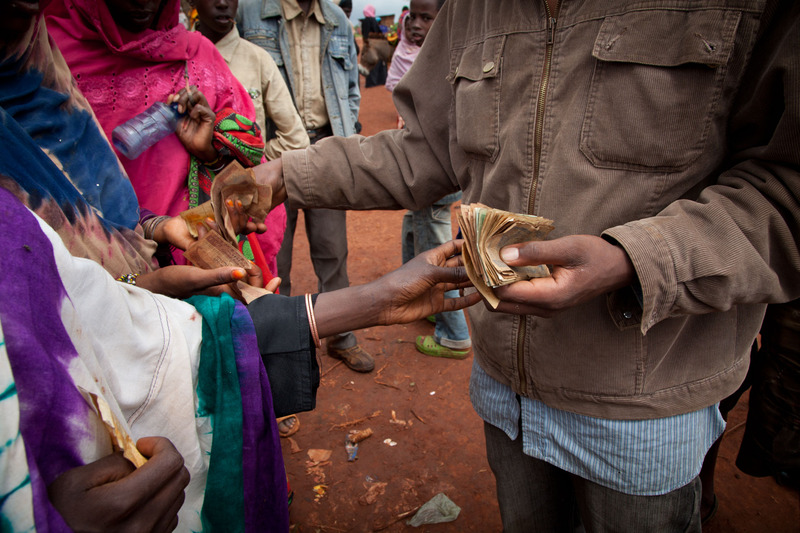 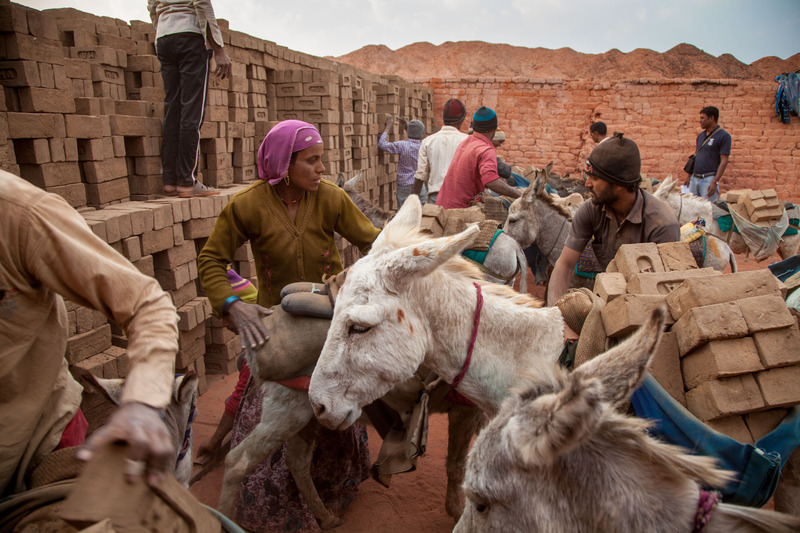 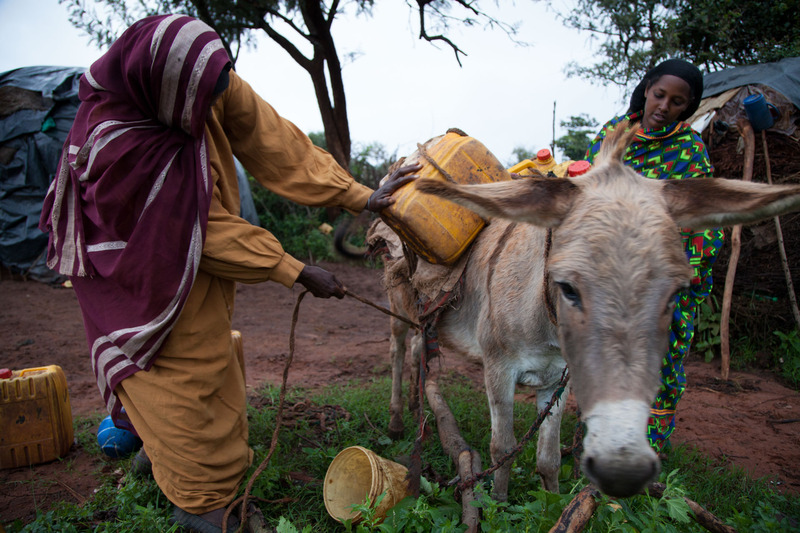 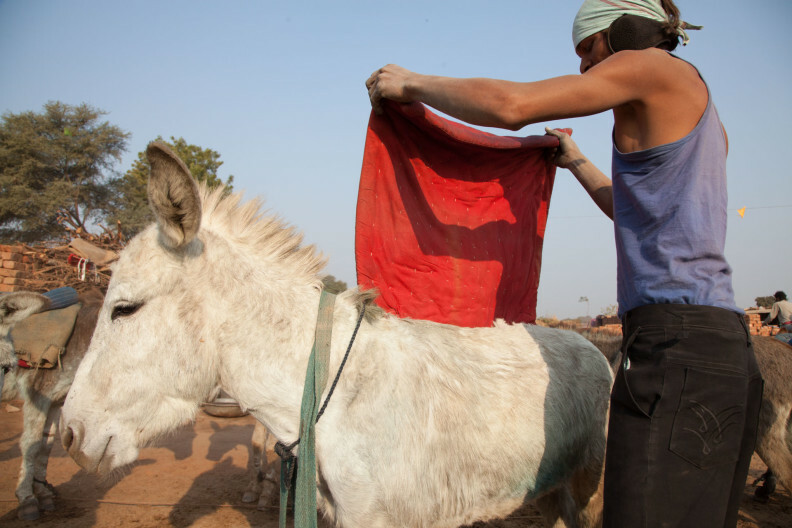 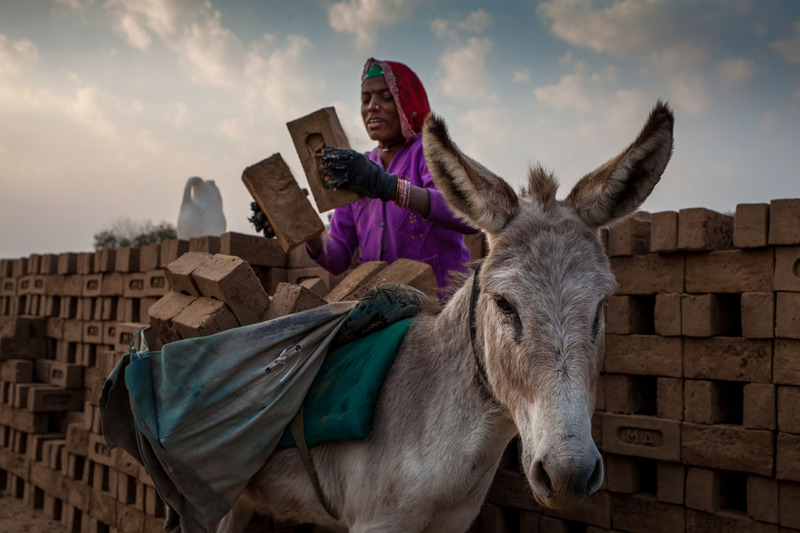 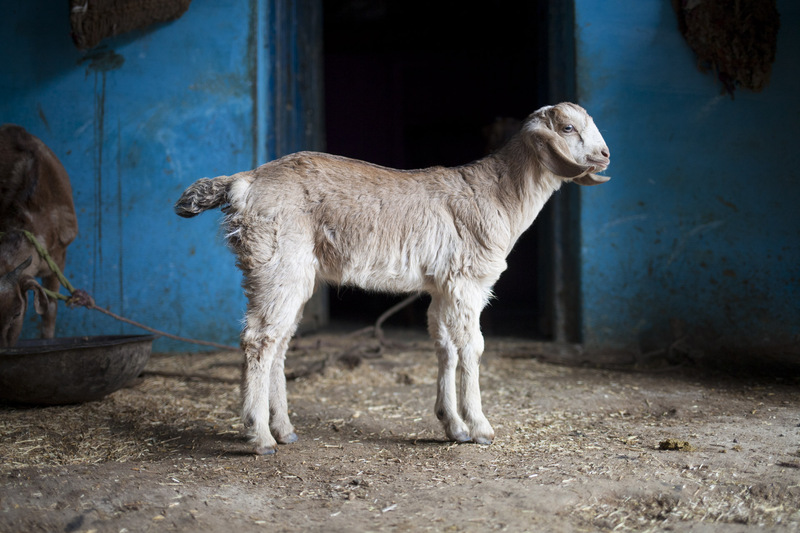 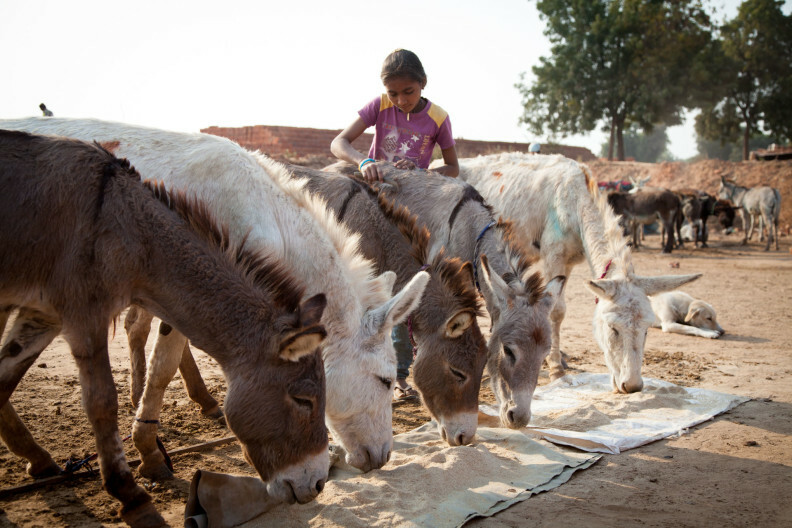 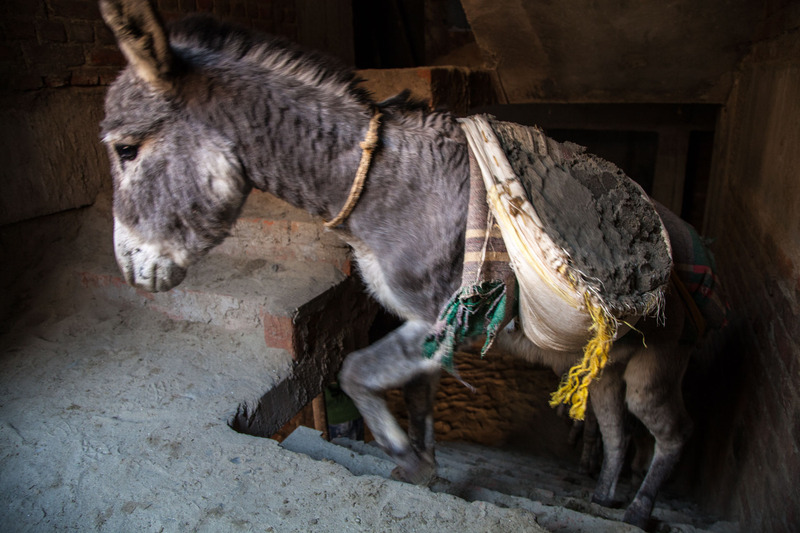 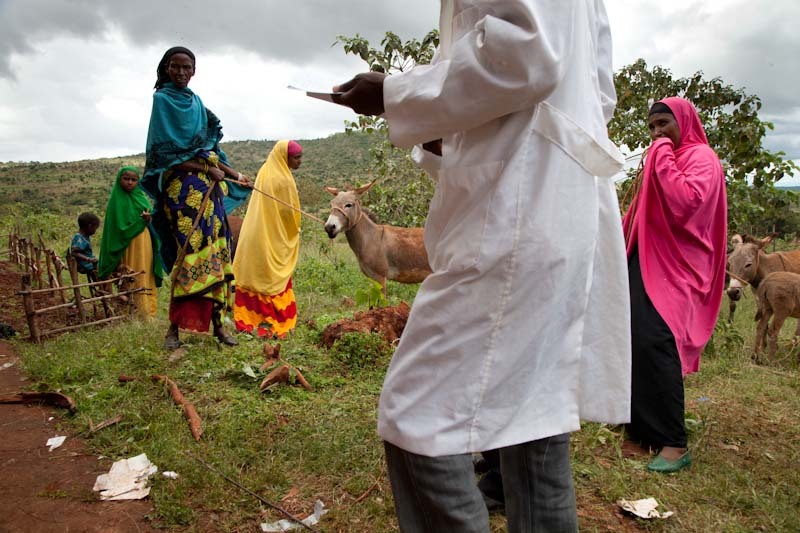 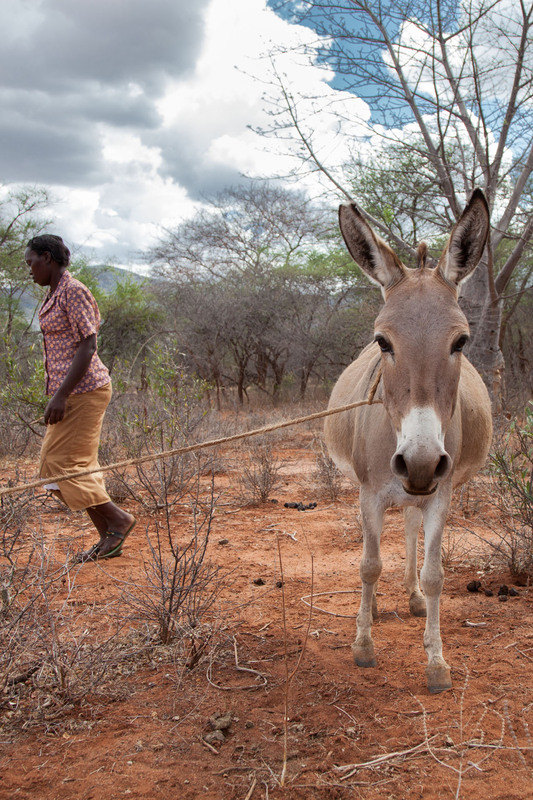 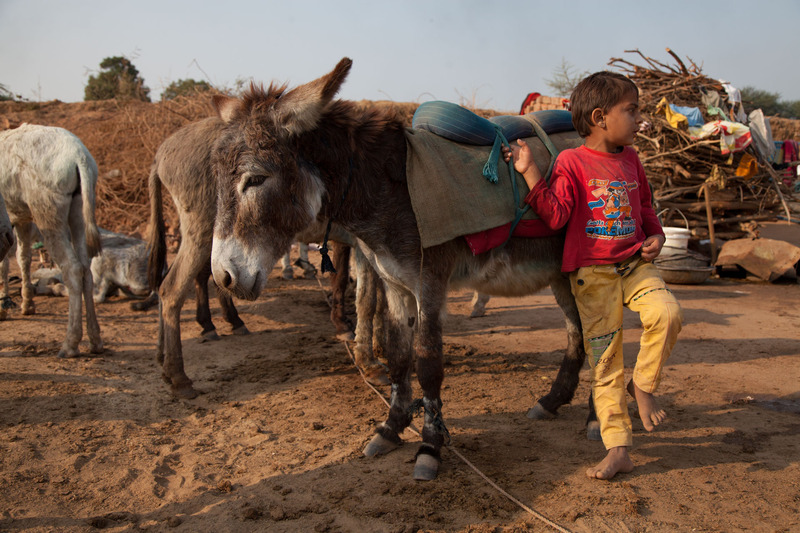 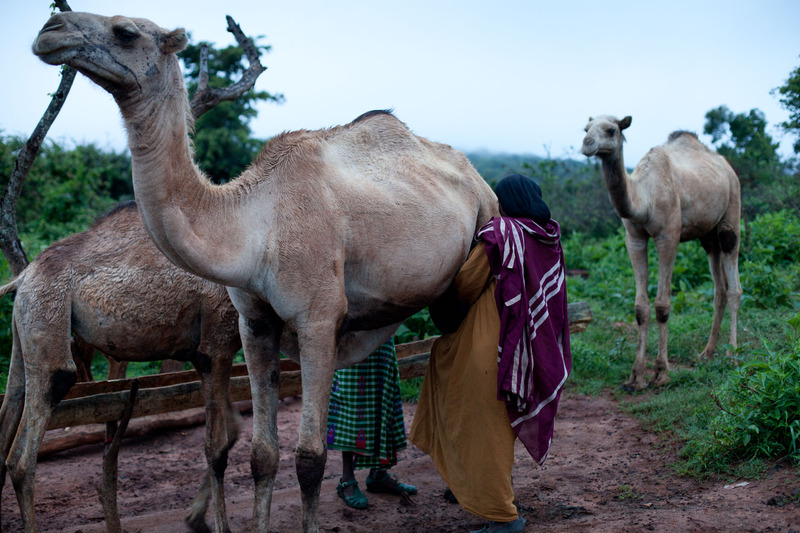 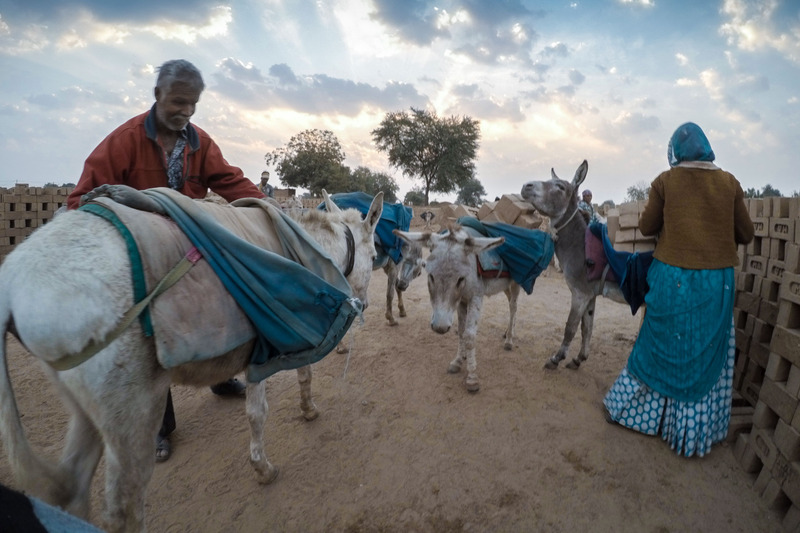 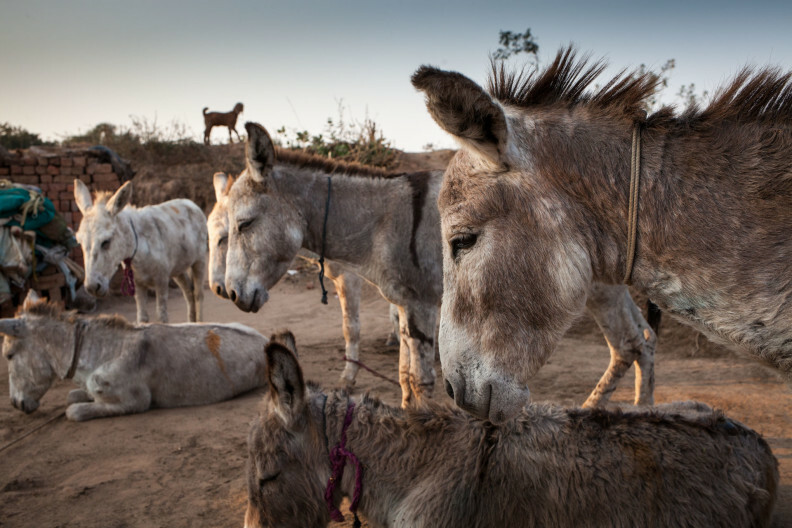 There are 6.2 million working donkeys in Ethiopia. 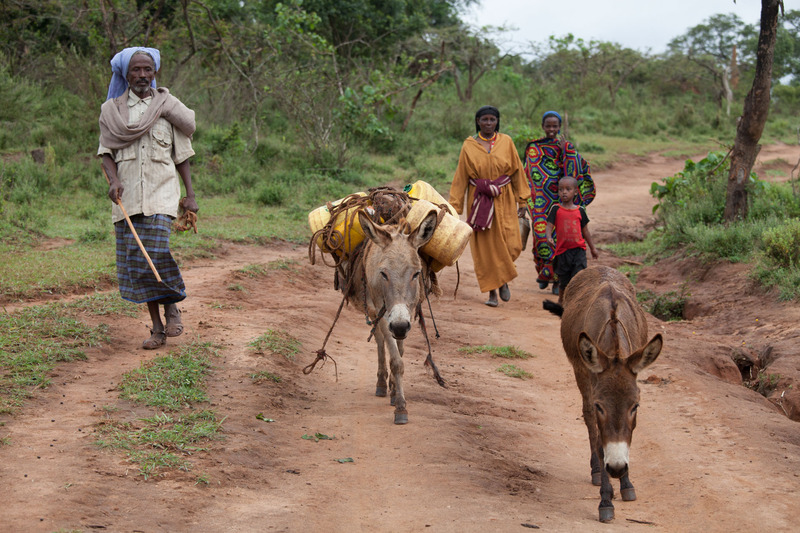 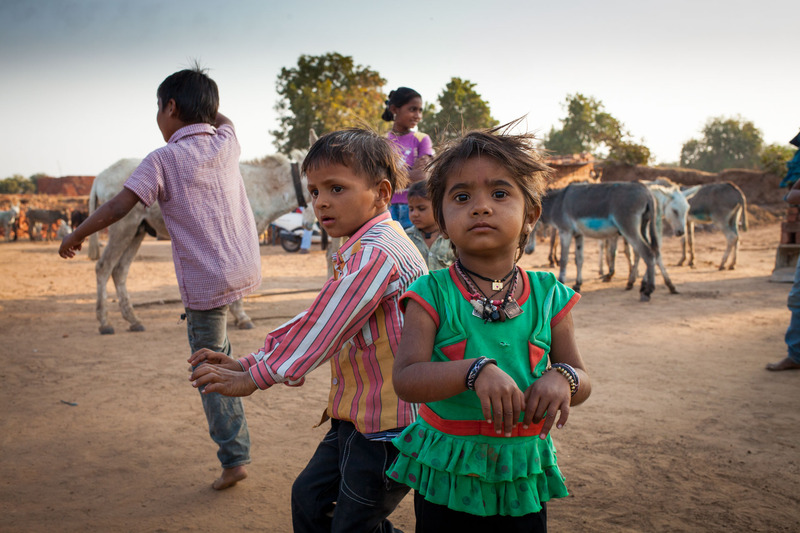 When they are fit and healthy they carry water to villages and goods to market. 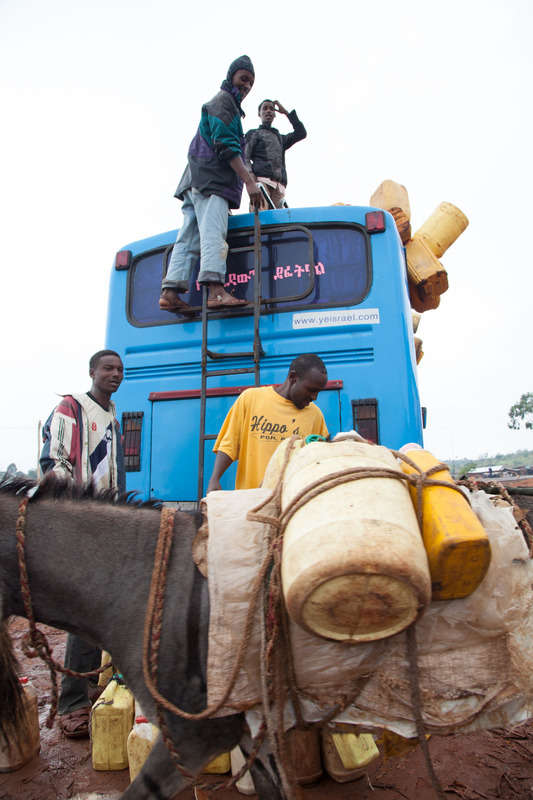 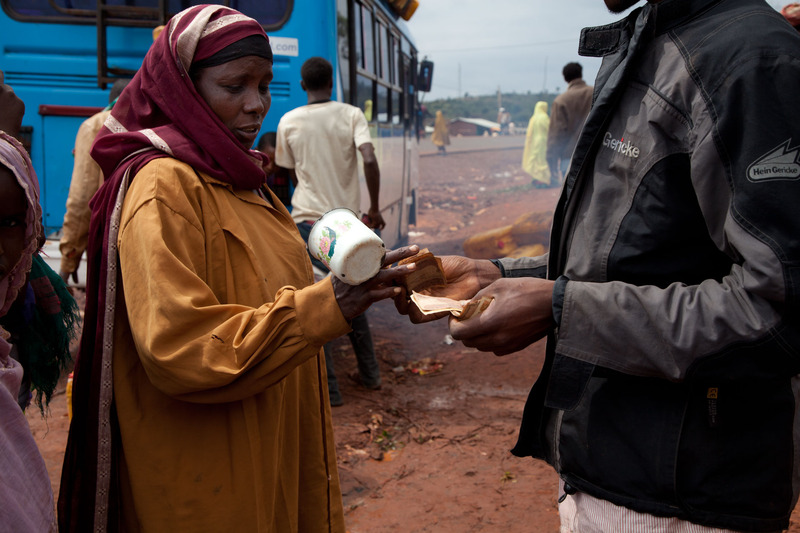 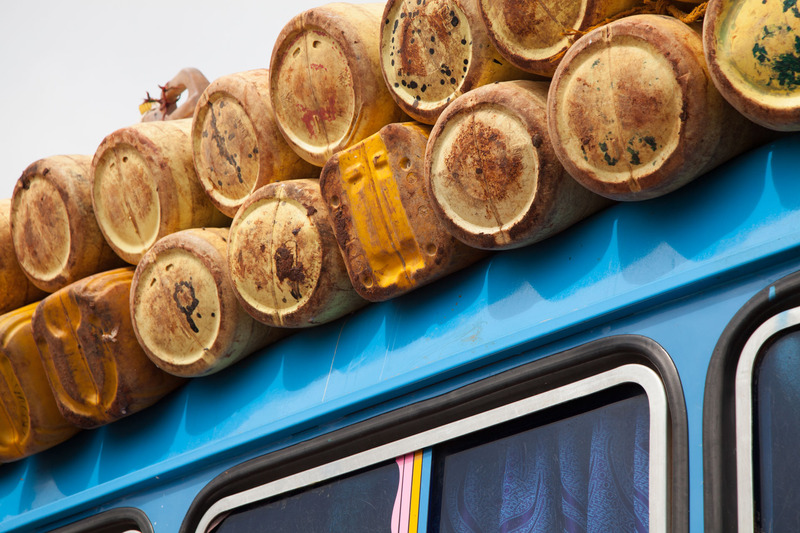 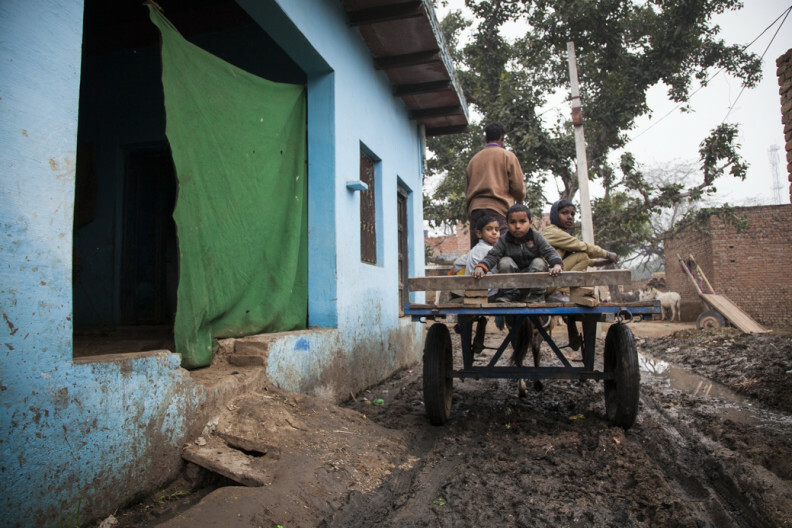 In both rural and urban areas they form the backbone of the local transport and haulage system and provide an income for the poorest families. 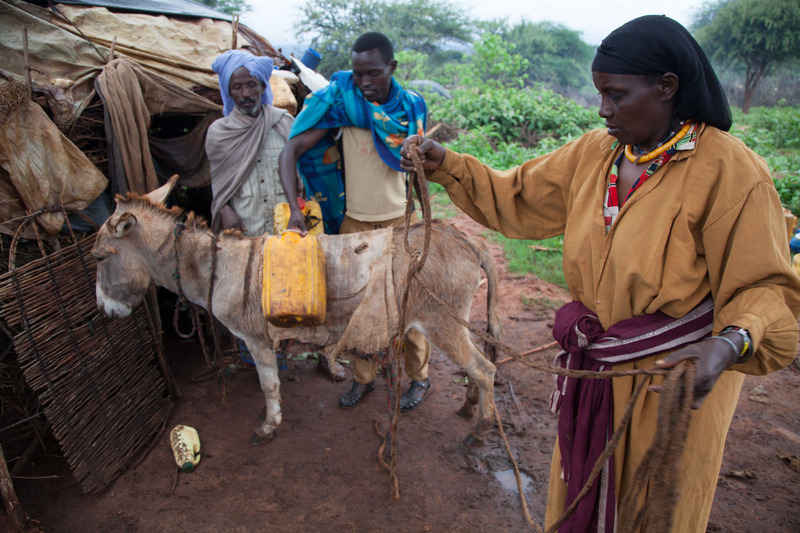 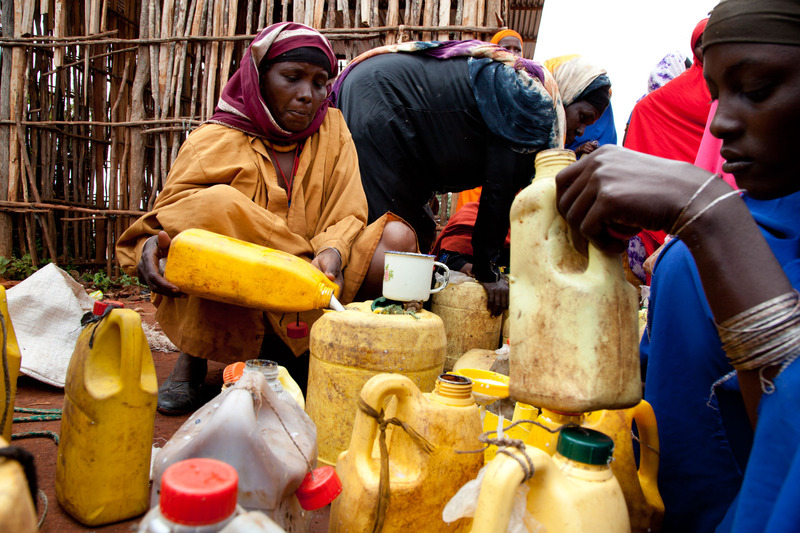 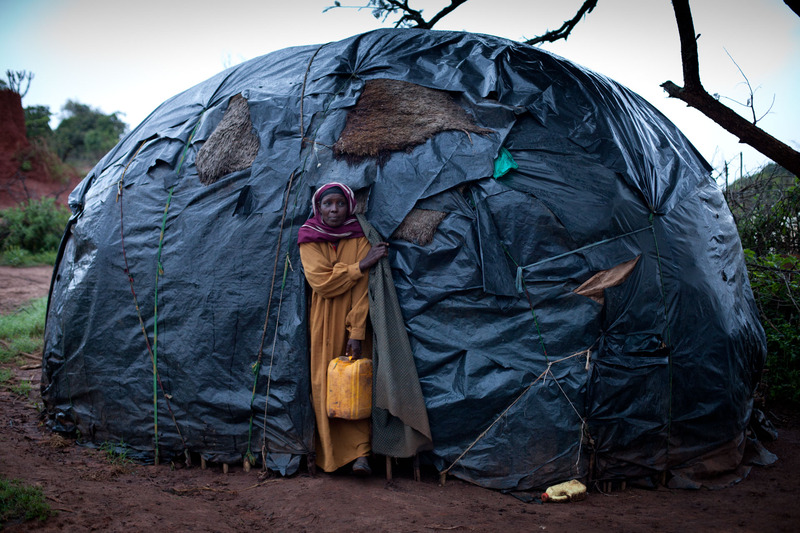 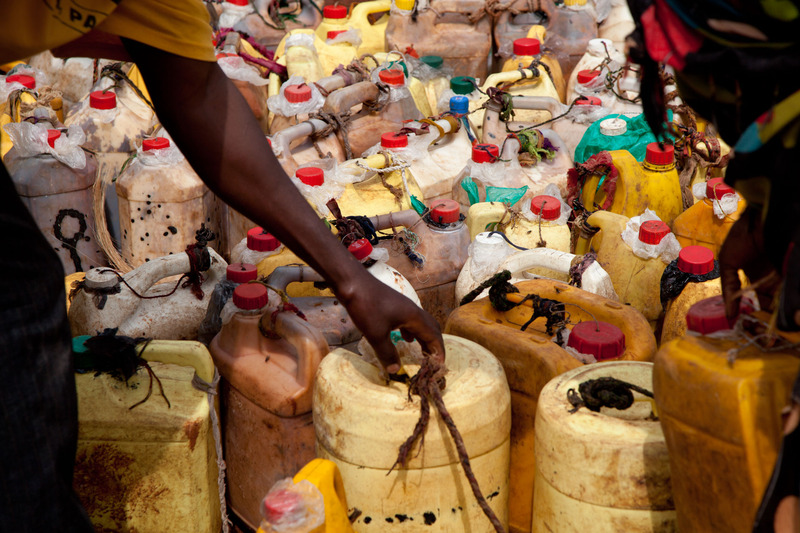 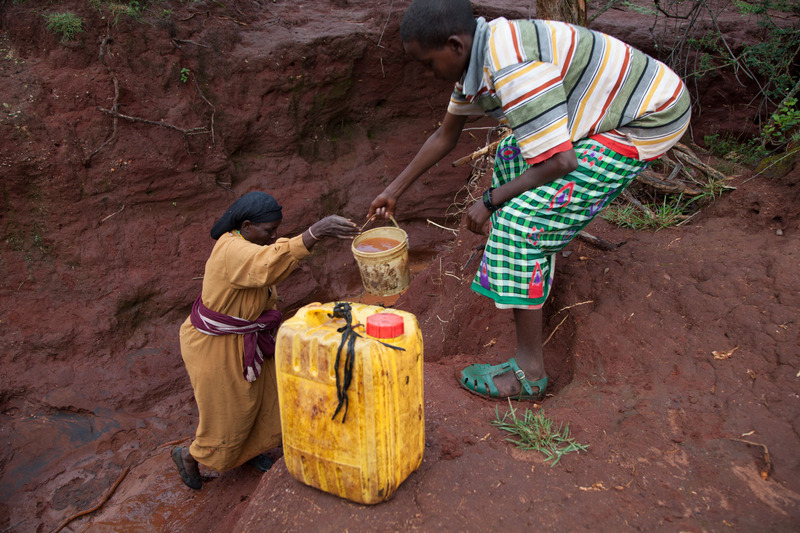 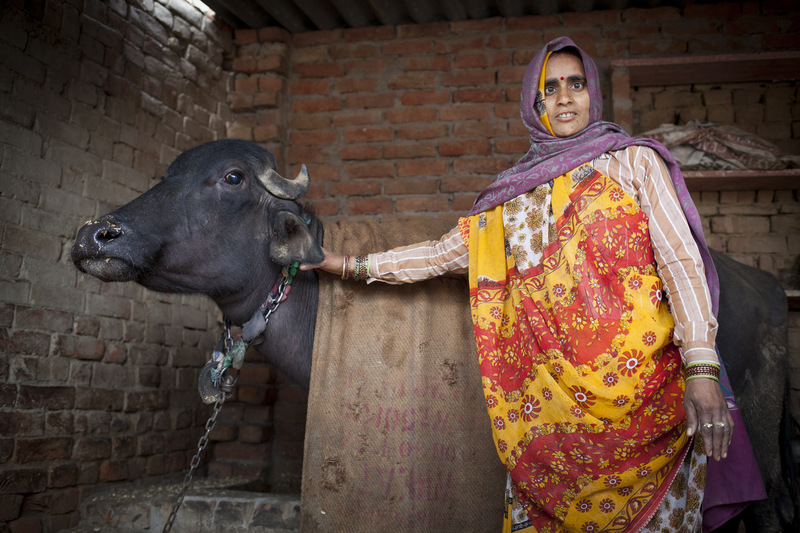 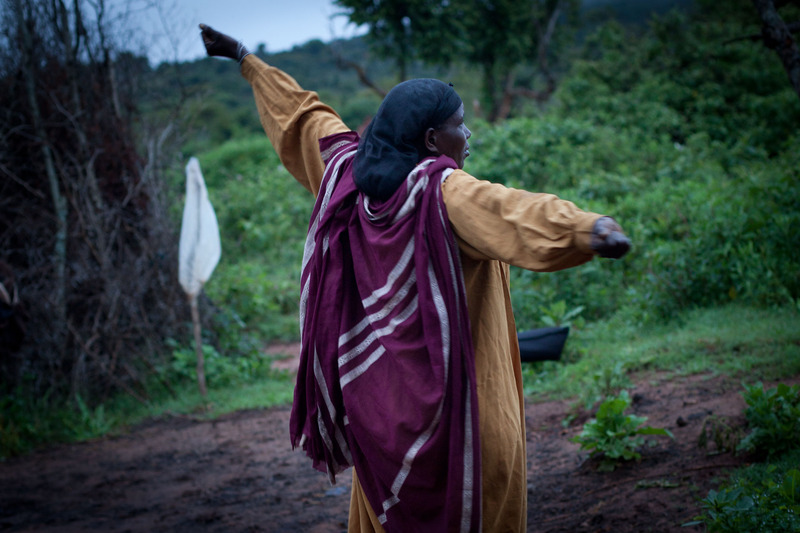 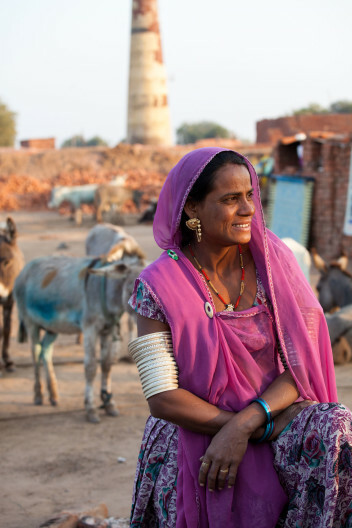 If they become sick or injured then the work of carrying water and heavy loads to market will usually fall to women. 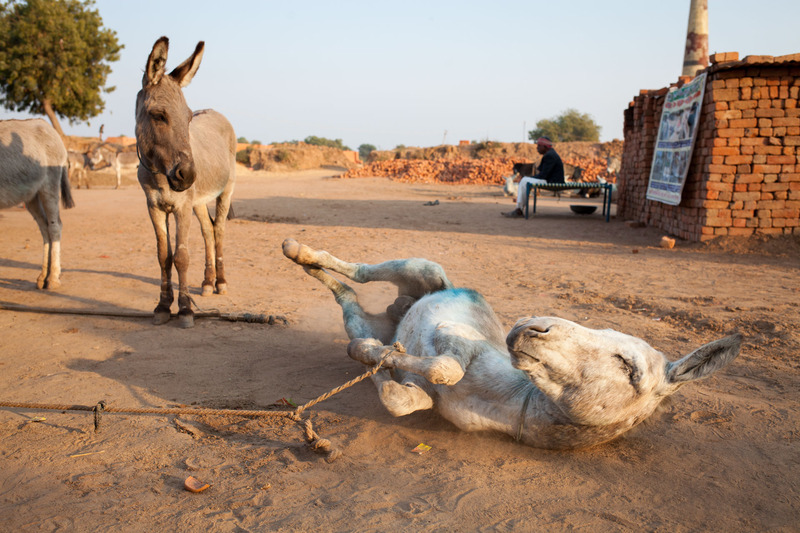 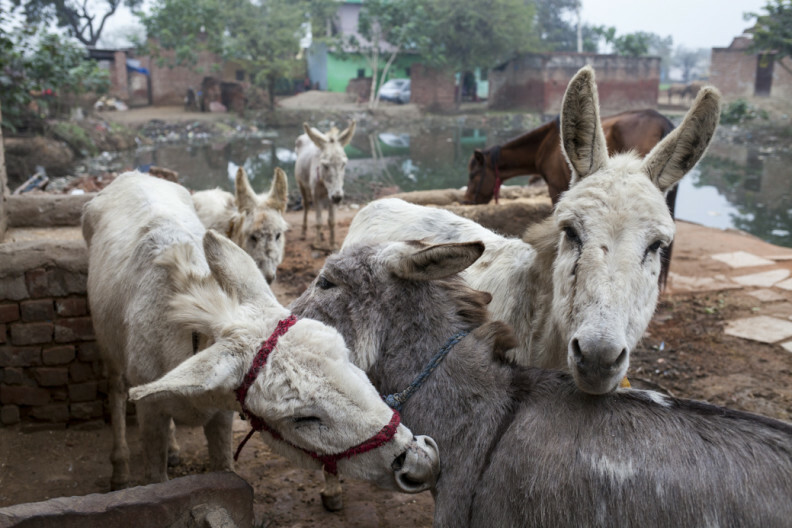 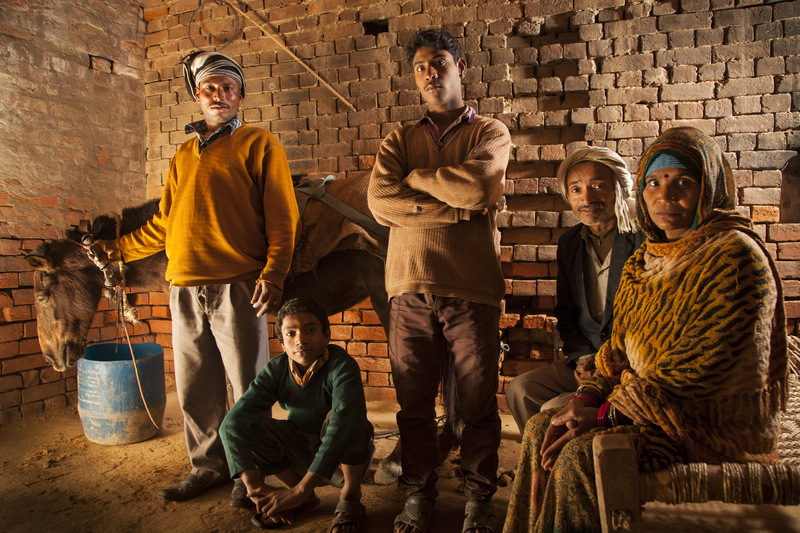 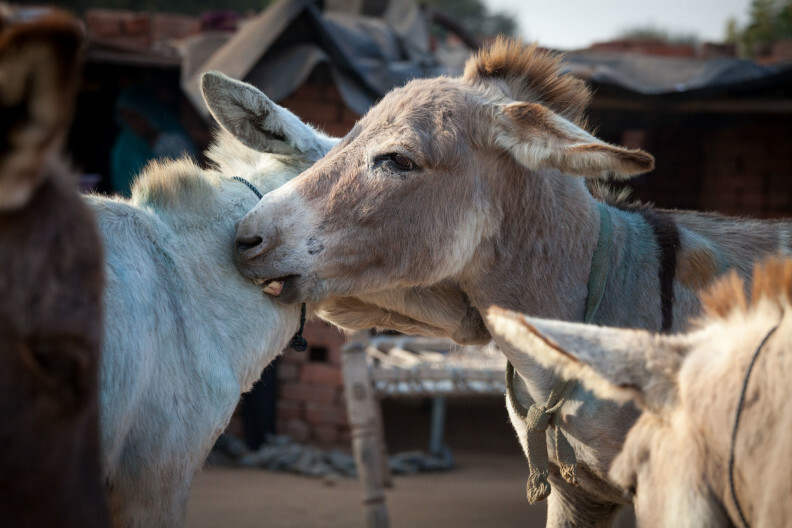 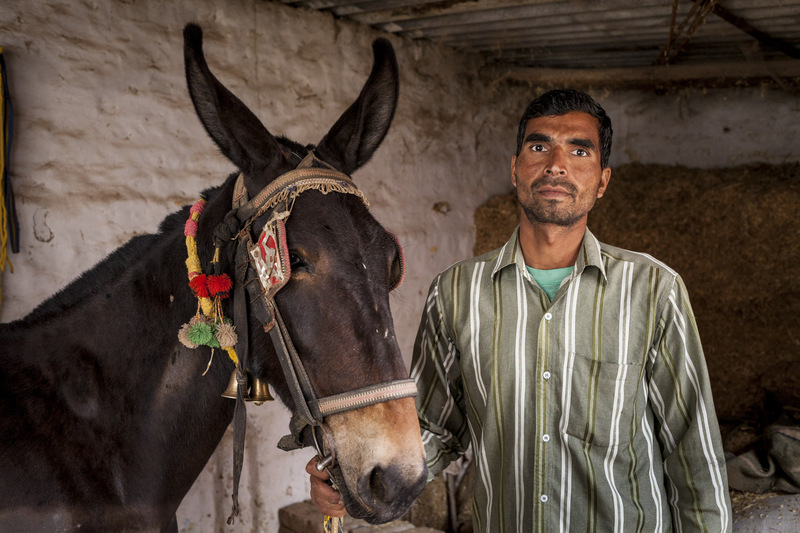 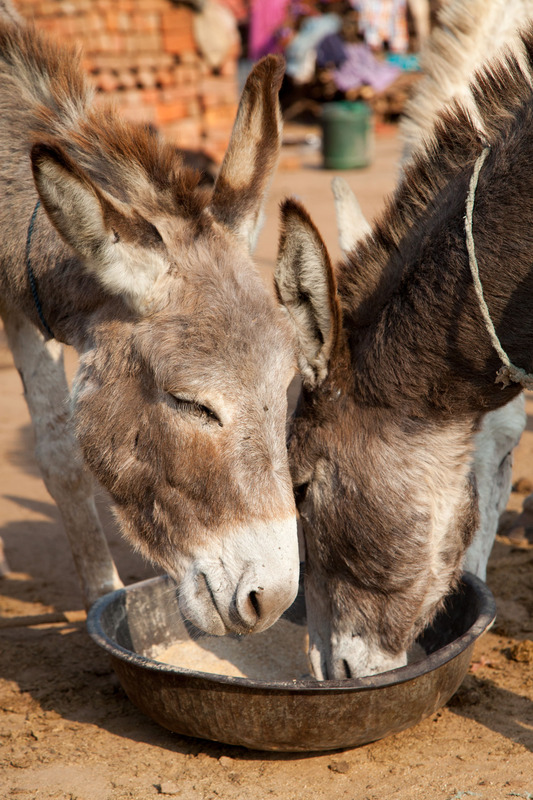 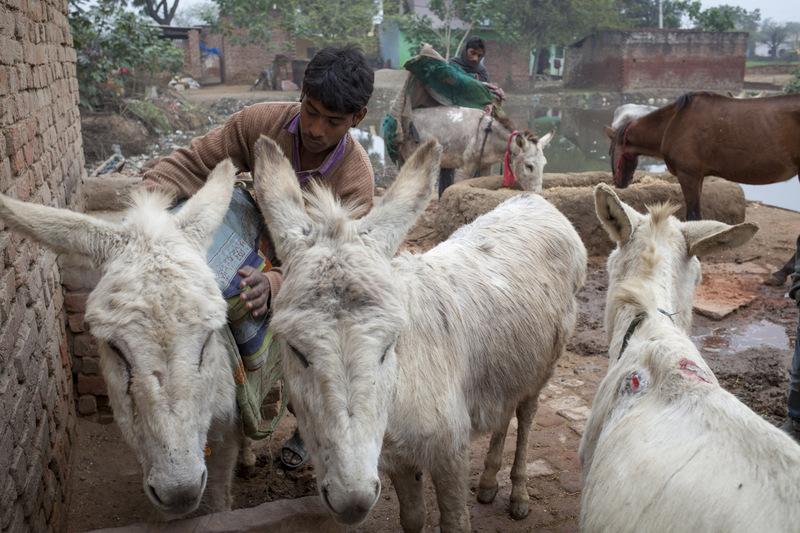 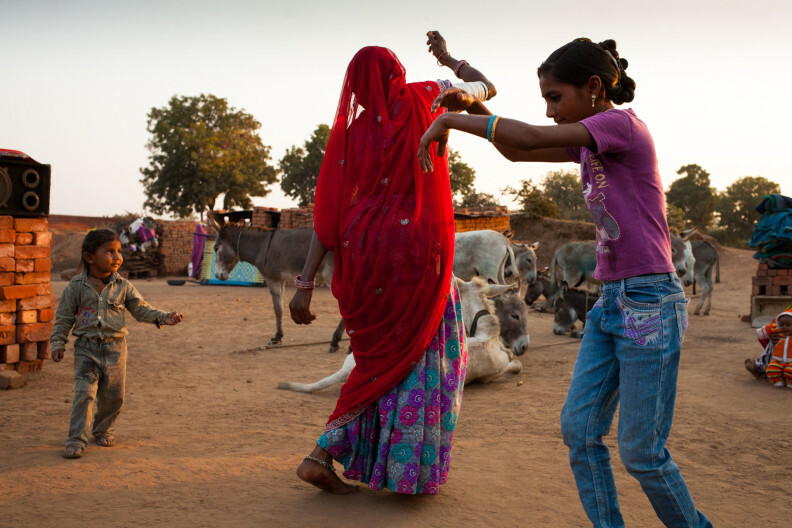 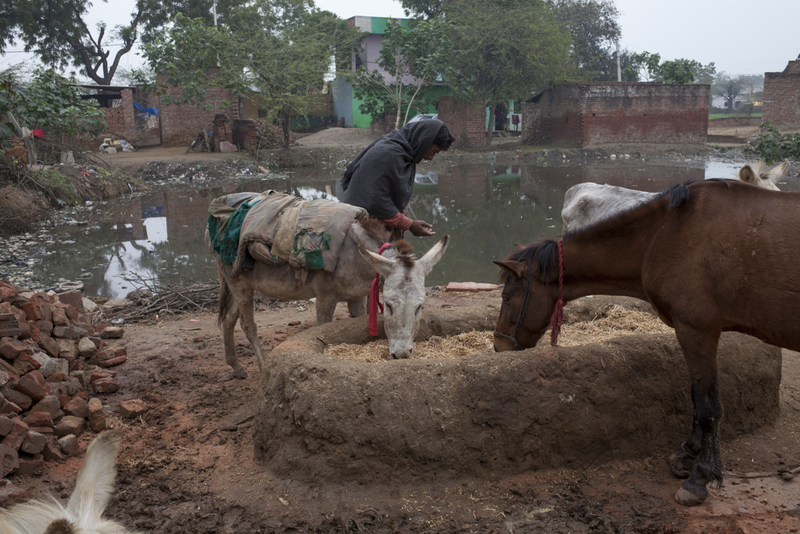 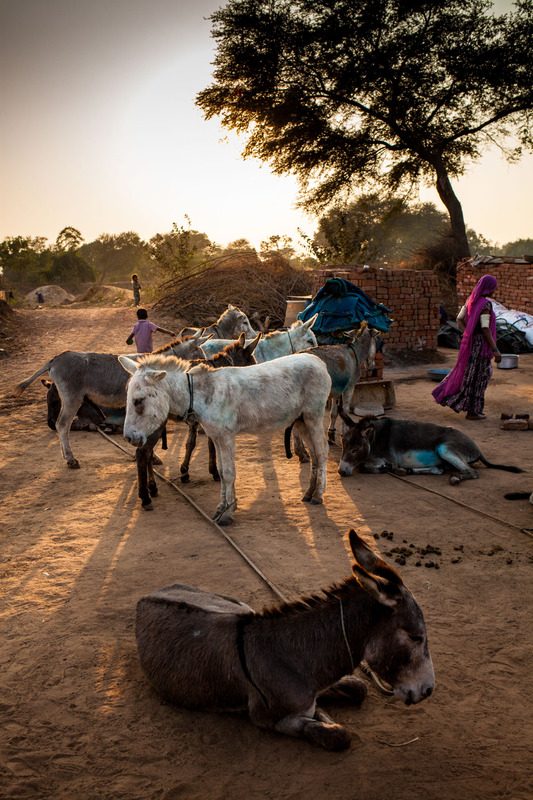 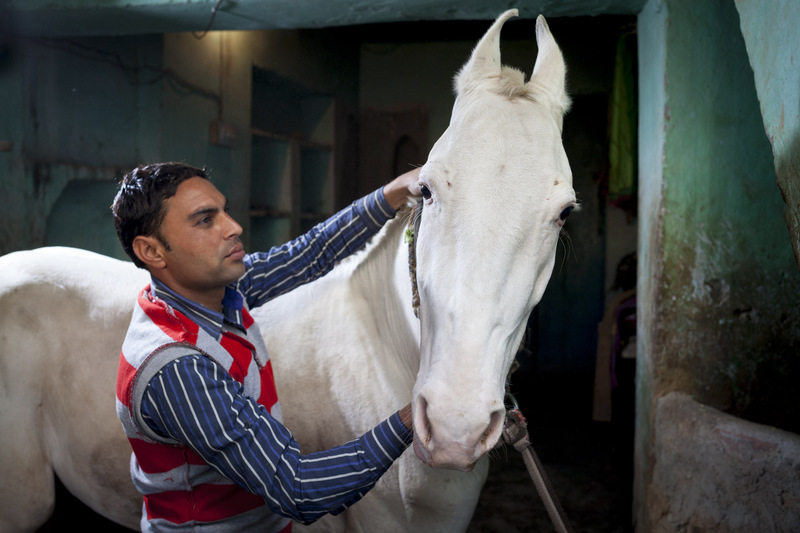 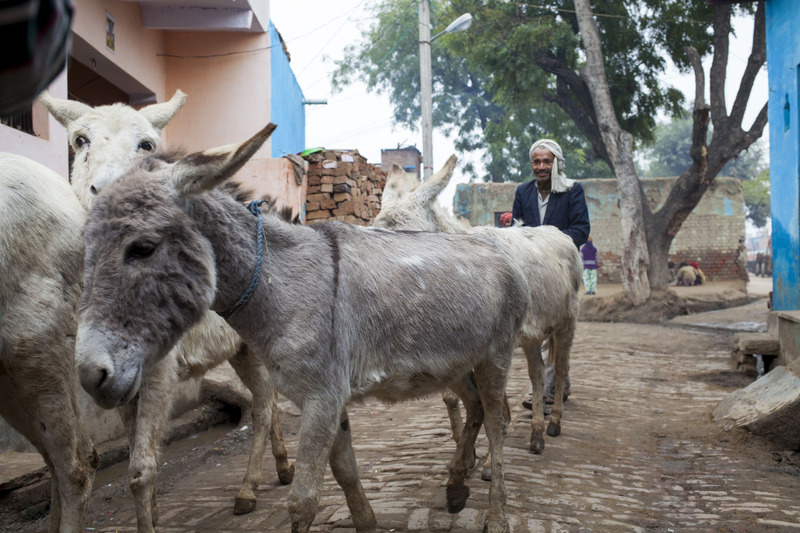 The welfare of donkeys can be a matter of life and death.